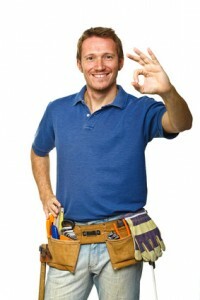 Summer is a popular time for remodeling projects, and that usually means hiring a contractor. Hiring the right person means a job well done with little hassle or stress. But hiring the wrong person can lead to income loss for your rental business, and even put your tenants at risk — like the Perry County, Pennsylvania man who just a few weeks ago posed as a repairman to gain access to a tenant’s apartment, where he attacked the tenant with a hammer, and caused damage to the rental property. It’s as important to screen contractors as it is an incoming tenant. No company policy to supervise employees. No in-house training of employees. No employee screening procedures in place, including criminal background checks, previous employment history or reputation in the industry. Hiring unqualified people to do the job. Under-paying employees or paying on a commission basis, which can lead to abuses, particularly where inexperienced or vulnerable customers are involved. Poor organization within the company — reception, accounting, customer service. Poor communication skills, which is bound to increase if a problem arises. Failure to properly take into account the magnitude of a job which results in going over budget. Poor documentation with respect to quotes/estimates. When searching for a contractor, first and foremost, rule out the scammers who are trying to turn a quick dollar by posing as a contractor. Once these fraudsters have the deposit for their “job” in hand, they disappear. Verify the person’s identity. Ask for a business card. Is the telephone number listed in any directory? Do they have an office? Work out of a truck? Do they belong to BBB or any Trade Organization? Contact the organization to see if they’ve received any complaints. How long has the person been in business? Request a copy of their Workers Compensation certificate, and Liability Insurance in case he/she is injured or causes damage. Ask whether the contractor is certified or licensed. For instance, do they have Journeyman’s papers? Will the person who is quoting the job be the company to do the job? Will it be the same company, or a subcontractor? Are the people coming to the job qualified, certified, covered by Workers Compensation and liability insurance? Demanding 100% of the quote or estimate upfront. There is no signage on the vehicle, no business card, no business telephone number — only a cell. Once you decide on a contractor, make sure to get everything in writing — the quote or estimate, along with a schedule of when the job will start and end, and any details discussed. For instance, discuss what kind of materials will be used. Cheap? Sub standard? 2nd grade? Used? Insist that all changes to the original work order be in a writing as well and reduce the risk that your remodeling dream will become a nightmare.